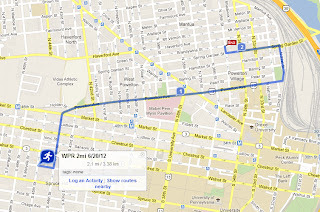 It's been a while, but we're finally having another WPR post-run event at a runner's place! Brian is hosting us at his place at 35th and Spring Garden. Feel free to bring beer and something to slap on the grill, but don't feel obliged to. All of this week's runs are going to end at Brian's place, which means that we can go out to some new spots this week: Fairmount. Get excited! 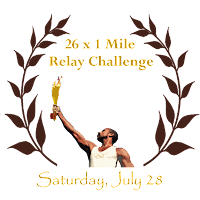 WPR 26 x 1mile Relay Challenge - Saturday July 28th. 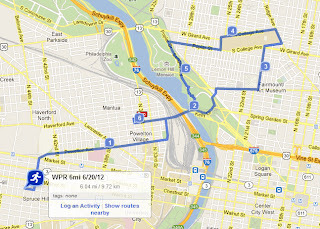 Pretty simple concept: join a team of 26 folks, run a mile, hang out in the park, maybe have a drink and a burger. Summertime shenanigans. UPDATE: The Monster Milers have signed up a full team of runners! We now have 2 full teams ready to go. Tell your friends to sign up and let's get a third team! 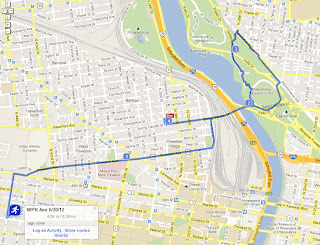 Run the Bridge 10K - Saturday November 4. OK this isn't exactly around the corner, but this race is going to sell out and probably pretty soon so sign up. This is your one chance (this year) to run across the actual roadway of the Ben Franklin Bridge into shiny, sparkly Camden, NJ!